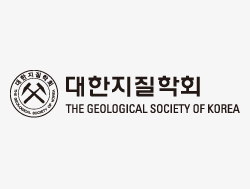 Founded in 1947, the Geological Society of Korea (GSK) is Korea’s academic society and professional body for geological sciences. GSK’s primary purpose is to further academic research on basic and applied geology and support the distribution of geological technology. With 1,600 members as of 2015, GSK supports and promotes academicconferences, field research, special lectures and publishes both the national journal and the international journal as well as various individual volumes. GSK has also undertaken many national projects including a Resource Exploration and Manpower Training program, a Safety Evaluation Project on Radioactive Disposal Facility and a Management and Operation Plan for a Geological Park. KIGAM was established as the Geological Survey of Korea on the 22nd of May, 1918. With this 100-year-long history, KIGAM is looking forward to celebrating the centennial anniversary in the upcoming year of 2018. As the only government-funded geological research institute in Korea, KIGAM was mainly responsible for geological surveys and mineral explorations about a century ago. Over time, however, KIGAM has grown up to become 'The Comprehensive Geoscience Research Institute' that covers a variety of fields of geoscience, including geological mapping, mineral explorations, petroleum & marine resources and geologic environment. With the great improvement of our research capability, KIGAM has always been there while Korea was witnessing the so-called 'Miracle of Han river' and the dramatic industrial development of Korea. Furthermore, KIGAM is sparing no effort in meeting various needs of the public by providing, for instance, meteorite analysis services to help people tell the real ones from ordinary stones. As the centennial anniversary is fast upon us, KIGAM has come out with new Vision & Mission to become the World Best Geoscience Research Institute. By making the vision come true, KIGAM will definitely contribute not only to the sustainable development of Korea, but also to the prosperity of the globe. 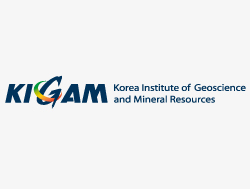 KIGAM has four research divisions: Geological Research Division; Mineral Resources Research Division; Petroleum & Marine Research Division; Geologic Environment Division. Every research division is, with its great research capability, trying to realize the idea of 'convergence' by taking the best from different fields and sources, probably the best way to achieve the grand national goal of Creative Economy.